Does the job require more than just every-day basic rainwear? 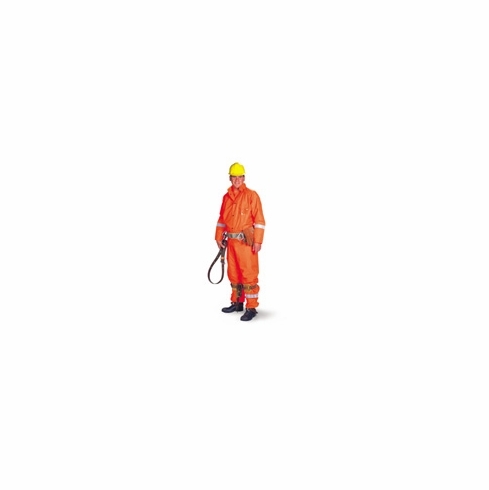 Neese Industries manufactures quality protective wear designed for splash hazards, hydro blasting, sanitation, industrial processing, petrol-chemical, and utility operations. These garments provide the extra levels of protection and durability that go beyond the mere basic and meet the needs that the job requires. We use test proven PVC, Polyurethane, and Neoprene materials and incorporate them into specially designed garments with today's industrial worker in mind. Whatever your work environment need, Neese Industries can help you successfully meet the challenge. This utility wear garment offers a strong nylon with a polyurethane coating that gives higher abrasion and snag resistance than any material in its weight class. It is made with polyurethane on the outside with nylon on the inside. The UT Series garment features strong double stitched and tape sealed seams for maximum protection and is flame resistant to NFPA 701 standards. Safety fly with snap closure.